This masterpiece came after we lost Esbjörn Svensson in 2008. The masters were given to the ACT on May 15. Then the trio were at a concert in Russia on May 30. Everybody was depressed on learning that the new inspiration of jazz from Scandinavia passed away in a diving accident on June 14, 2008. More important than everything about music, he was married and father of two sons. We, his family, his friends and probably Dan Berglund and Magnus Öström tried to accept the situation. Leucocyte was released in legacy of Esbjörn Svensson. It was thought to be the last album of E.S.T. by fans until we met 301 in 2012. The members of the trio also probably assumed this album as the last one considering the last interview on Jazzwise of April 2012. 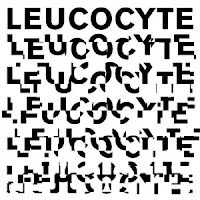 They thought that Leucocyte was everything that was already mixed and ready for release from the 9 hours record in Sydney days in 2007. However they suddenly saw in 2011 that this was not the case. 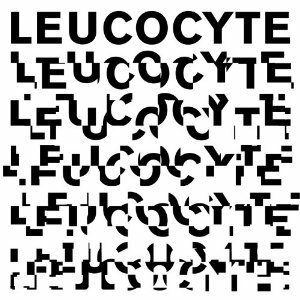 Leucocyte is a very important album not only for being a legacy album, but also with its progressive and electronic structure for being a new breakout in Nordic jazz. When I was caught at home by my wife during the first listening session, she thought that I have turned back to my high school times and started to listen metal music. Let me tell you some genres that come in to my mind while listening to Leucocyte: Jazz, Gothic Rock, Metal, Pop, Progressive Rock, Psychedelic Rock, Classical... Especially the last four pieces will give you agony with their philosophies, musical structures and possible meanings. The distorted voice, which is especially played during the the third piece and met you at different instants throughout the album, is created by Magnus Öström I think. I strangely feel like this voice belongs to a man under the sea. More than that I have created strange links in my mind to think that the last piece is ended by wave sounds fading in time. I know that I am exaggerating and there may be no intention, but that's how i feel. The recording and mixing was made by Ake Linton. The recording was made in 301 Studios in Sydney. The mixing was made by Dragan Tanaskovic. The mastering and mixing was made in Bohus Sound Recording. The album was released in 2008 by ACT. ACT also printed a double LP for this album and let me say that this is the first LP record of ACT. I see this as a tribute to Esbjörn Svensson. Let me ask a question to you before giving names and my comments of the pieces: What kind of a creativity can put an empty record of 1 minute long with the name "in the meantime" referring the time between birth and death? Decade: A dark and melancholic introduction of the album is given by the solo piano of Esbjörn Svensson. Premonition I. / Earth : This is literally a sophisticated masterpiece of nearly 18 minutes. An electrically supported and distorted piano tone and a constant bass are heard in front. On the background we sometimes hear a feedback-like tone. Magnus Öström uses some percussion equipment here with a minimalist concept. The bass keeps on following the same rhythm and rarely play the melody. Esbjörn Svensson's piano should be carefully analysed. It has both distortion and reverberation. I know this record is made when he is alive and you find this as an exaggeration but I really feel like I am listening to a piano playing under the sea. After the first half the trio decides to increase the tension and Magnus set the fire by moving on the drum set. A constant cymbal crash gives the rhythm. Oh my god, three of them are improvising at the same time. This is a masterpiece of a genre I have invented (sorry EST has invented): Progressive Neoclassic Free Jazz. In last two minutes, we are left by some electronics sounding like a dying body (it can be a drowning one) and a snare drum gradually decreasing the number of beats in each period then disappearing. The last minute is just the feedback-like tone heard at the beginning and the ending is linked to the next song by a transistor radio tone. Premonition II. / contorted : The entrance is made by the constant rhythm of the bass and Esbjörn Svensson's piano. It goes on from where the previous one left us. In this song we see a very extraordinary electronic effect. It's like a dolphin or whale's sound at first sight but when you listen to it carefully you understand that it is produced from a man's voice. I know it is strange but it is like a man's crying under the water. That's what I have felt and I still could not be sure whether they intentionally made it or not. Although I have links with Dan Berglund and Magnus Öström through social networks, I could not and will never ask this question to them. I always feel like crying when listening to that song. The piano and bass duo in the second half is just perfect. I should again mention that Esbjörn Svensson, Dan Berglund and Magnus Öström are wonderful musicians and they are literally contemporary legends. They are my jazz heroes. Jazz: At first, some electronic sounds are heard (like two metals are rubbed with each other) Then the piano gradually enters to the scene while the drum and bass are accompanying to it. Consistent with the name, this piece is a summary of E.S.T. Jazz. The tension is relatively high. Piano improvises the main theme while drum and bass are following a walking line. Still: Again some electronics are used on the base of piano and bass. Sounds feel like coming from under the sea, or else we can say that they are robotic. Above all we actually hear a melancholic piano performance. Drum set accompanies to the others with a very minimal rhythm (just the metronome I think). Esbjörn Svensson's piano reminds us Erik Satie. On the background we hear Dan Berglund's bow-played double-bass that is passed through electronics. The piece travels from melancholy to emotion but in a real dark color. You feel like you lose somebody important for you. Ajar: A short break of piano solo, similar to the first piece of the album... Esbjörn shows us his virtuosity with soft and dynamic touches. Ab initio: Welcome to a new era, in which a new jazz form will be produced. This last four pieces of the album are kind of a musical philosophies rather than just music. The names are in latin; Ab initio, Ad interim, Ad mortem, Ad infinitum. The English words are; Birth, Meantime (Life), Death and Infinity. You can assume Meantime as the Life since the time between birth and death is the life. The first piece literally gives you the feeling of birth. Its entrance is made by an aggressive drum&bass and some electronics. After the introduction the piano starts to play from behind of a distorted noisy double-bass and percussion. Everything is crowded and confused just like in birth. A dark melody is played by piano. The bass noise is always there, symbolically refers to the things that you can never run away from. Ad interim: This is “in the meantime”, “time between” or "temporary" in Latin. In the concept of this album, in which this piece is between initial and death, we can call it “Life”. This 1 minute record is empty, which means that the interval of life is, kind of empty, considering the importance of the birth and death. Ad mortem: This is the death in Latin. You will really feel the death in this 13 minutes piece whose first half is just full of overlapped distortions and unstable and atonal sounds. We are left with a calm electronic double-bass sound and a piano tone playing deeply (feels like coming from under the sea) at the second half. I think the first part is the aggressive and painful part of the death. The second part is full of tranquility that is saying that the life is ended and this is where we are. This is the fact. You can cry, you can long for your precious belongings, but this is the fact. The end of the piece is very melancholic and will most probably make you cry a little. This wonderful melody at the end linked to the next piece with gong-like sound. Ad infinitum: This is infinity in Latin. The gong sound is continuing for 1 minutes in the entrance after which we hear a background voice-like sound giving an extraterrestrial feeling. Above all we hear a constant piano tone then the sounds become mixed with each other. It fells like the music is immersed in water gradually or falling free into the infinity.